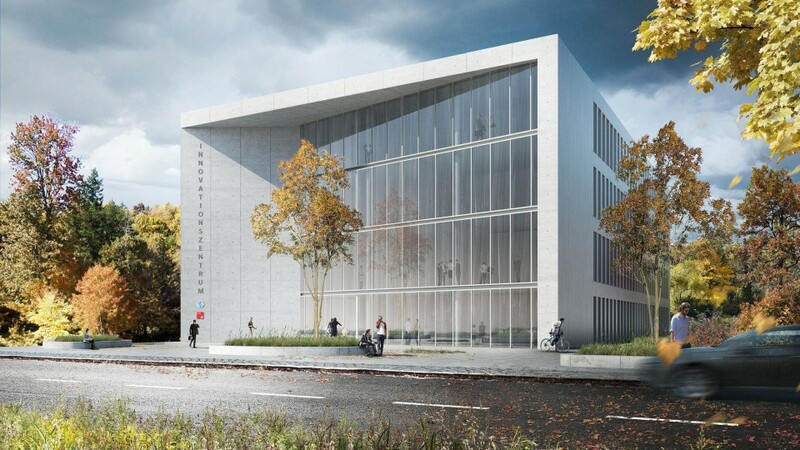 An Innovation Centre is planned in the northeast of the research campus in Hamburg-Bahrenfeld, acting as an interface between the CFEL building (the University of Hamburg’s research building) and the DESY Experimentation Hall Petra III. 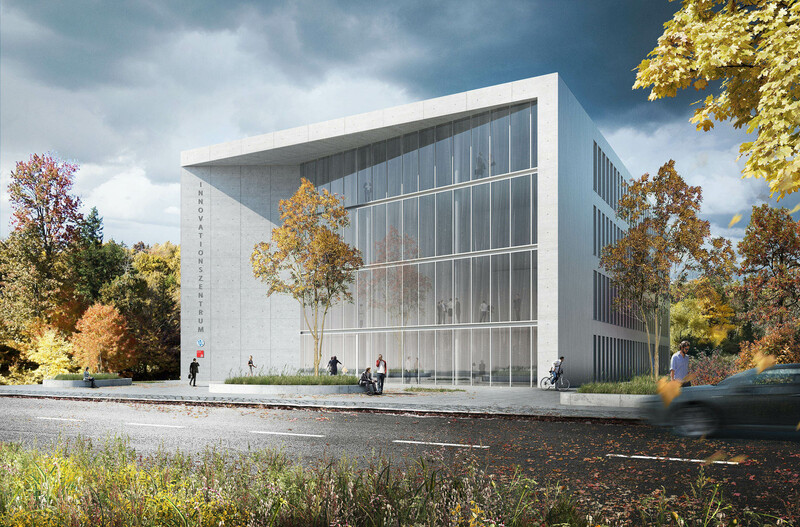 The new building with a GFA of over 4.000 m2 will house small, rentable offices in a communicative space, as well as laboratory and workshop area. Part of this space will be offered at low rental costs in order to support entrepreneurs in the field of research. Large windows in the economical grid facade ensure maximum exposure to daylight in the individual areas and give the building a certain transparency. The impressive offset of the glass facade on the north east side creates a covered, communicative space opening onto Luruper Chaussee, as well as a highly visible landmark at the intersection with Stadionstraße.